Sammy Liebermann established Liebermann Pottery in Johannesburg in 1956 following the Bernard Leach Shoji Hamada tradition with an extensive range of traditional handmade cottage tableware and dinnerware and ceramic picture tiles. 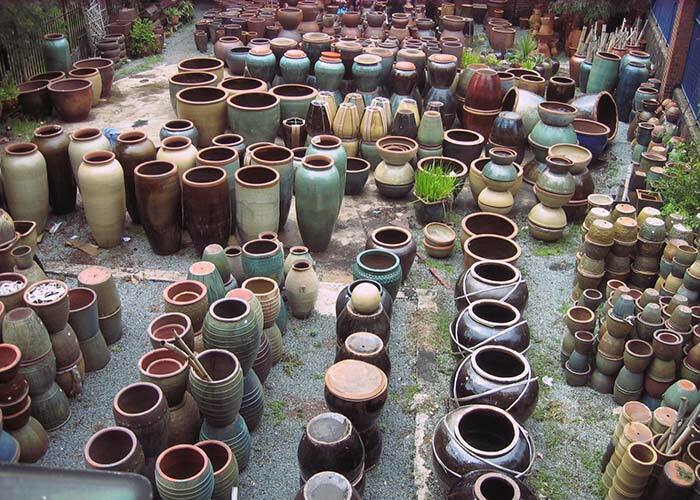 A range of garden planters and garden decor was added by Adriaan Turgel from the 1980's on. Brilliantly-coloured contemporary garden planters and vases, with their distinctive Liebermann ambience, have been in production since the 1980's, and continue to develop. In June 2011 we opened a branch in Cape Town, in Sunnydale near Kommetjie, on a stunning 5 acre smallholding. We are open to the public and trade 7 days a week, available for hire and can arrange delivery to anywhere in Southern Africa.